Cute! I love the print, plus the cut of the dress looks super flattering. Is it bad that I kind of wished it would glow in the dark? 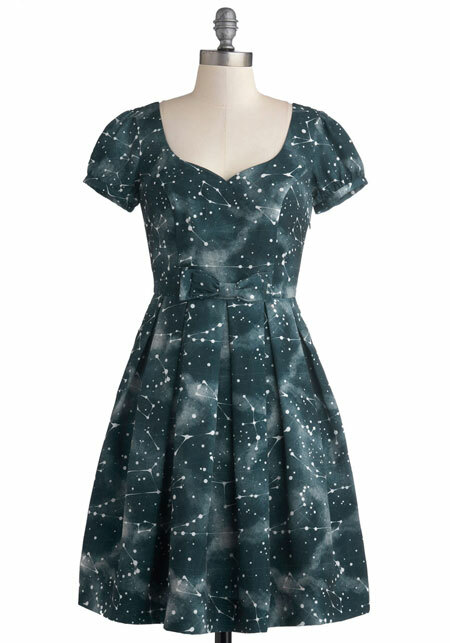 It’s available from Modcloth for $129.99.